Ubo Icons Theme - Not Glossy, Drawn With Ballpoint Pen, Colored in GIMP, Looks Sweet! 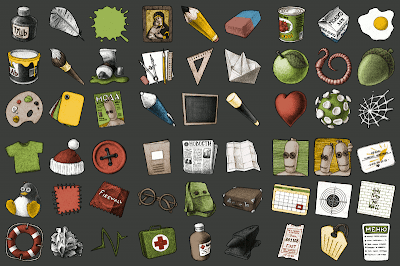 When we featured this collection of top 10 most popular icon themes for Ubuntu GNOME some time ago, Ubo Icons was probably one among the most promising set of icons for GNOME in that list, though it was still a project yet to be completed back then. Well, the first alpha release of Ubu Icons is here and it looks quite stunning. Not glamorous, not glossy, drawn with ballpoint pen, scanned and colored in GIMP. Still is a work in progress and far from a finished product. Though you can test the first alpha release of Ubo icons in your GNOME desktop already. The launcher is Synapse and the icon shown in the screenshot gives you a glimpse of what is in store for this awesome GNOME icon theme. If you are in the look out for something different in terms of look and feel, this set of icons is a must try. I would love to give Ubo Icons set a first hand try when the completed version of the theme is released. Also read: 8 very new GNOME GTK theme for Ubuntu.